Happy Friday Y'all! Our first full week back after over a week of snow days has been rough. It almost felt like we were coming back from a 2nd Christmas Break. I'm SO glad the weekend is finally in sight and I can't wait to share some of my favorites from this week with y'all. As usual, I'm linking up with Andrea, Erika, and Narci for Friday Favorites. One of the things that I was most thankful for last week while we were out of school was that I actually had time each morning to sit down with my coffee, my bible, and devotionals and have my "quiet time." This is something that I did every single morning last school year and it just hasn't happened this year because I'm working further away and have to get up and leave so much earlier. One of my goals for 2018 is to find the time for "quiet time" daily, and I feel like this little break gave me a chance to get back into that habit. This verse really stood out to me during my quiet time one morning. 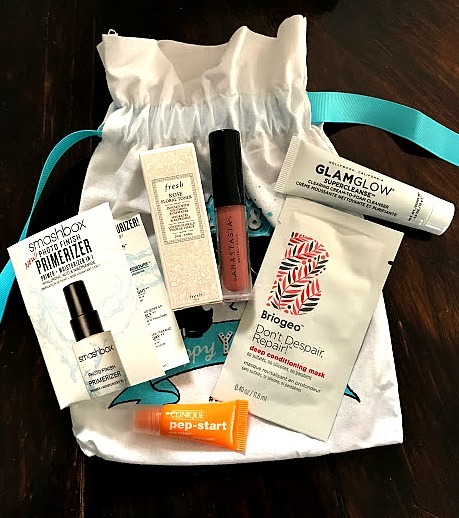 I signed up back in November for Sephora's Monthly Subscription Box and it has become something that I look forward to getting in the mail each month. I love trying new hair/skin/beauty products and this is the PERFECT way for me to try out different products to see what I like before I buy something. I love that everything they send is name brand, comes in the cutest packaging, and it's only $10 per month. Hunting for Rae Dunn pottery has quickly become an addiction of mine. 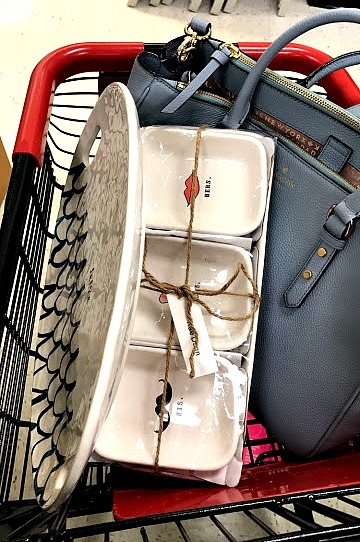 I stumbled upon a few of her dishes (by accident) about a month ago while shopping at TJ Maxx and have found myself heading to TJs 3 or 4 times a week now to search for more. I have even sent Chase to look a few times when he's been in town. I think part of what makes it so addicting is that it's just so stinkin' hard to find. 3 out of 4 times I leave finding nothing. I was so excited to finally find a few pieces last week that I sent this picture to Chase. I had even better luck this week and ended up leaving with 5 mugs and the cutest canister. I sent chase a text right after telling him I had "hit the Rae Dunn jackpot" and I think he was just as excited as me. 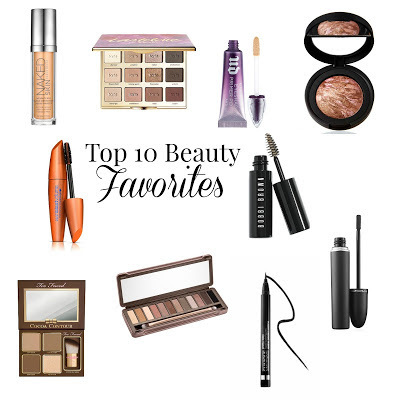 Yesterday I shared 10 of my favorite beauty products that I use for my daily routine. You can find that post HERE. I mentioned THIS Sherpa Vest last week on my Friday Favorites and told y'all I'd give an update on the pullover once I got it in the mail. The verdict is in, and it is literally the best. thing. ever. I'm wearing it to school today for jean day and I'm a little too excited about it. You can find the pullover HERE. On Monday I shared a few different ways to style my favorite basic striped tee. You can find that post HERE. And on Tuesday I shared some of my recent fitting room finds, which included this cute motto jacket that I'm obsessed with. You can find that post HERE. Last night, I shared a little pre-weekend outfit inspiration on my Instagram feed. Outfit details are located under my "shop" tab. That's it for today y'all. I hope you have the BEST weekend! Love the motto jacket and pre-weekend inspiration! Thanks girl! The motto jacket is my fave!